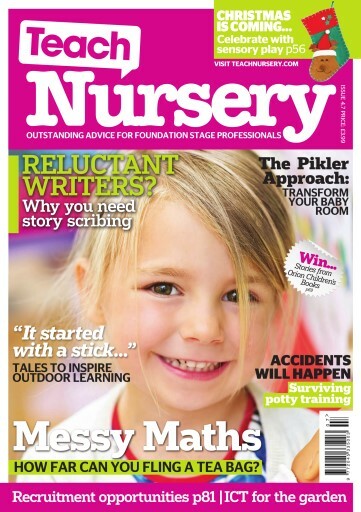 9 ways to get messy with maths, taking story books outside, and why ‘story scribing’ will inspire your reluctant writers. 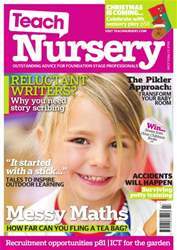 This issue, we also prepare for Christmas with four articles designed to help you help your children get the most out of the festive season – look out for multisensory activities, an exploration of celebrations around the world, and advice on sticking to a child-led philosophy, whether you’re making Christmas cards or planning a show. Plus, the Pikler approach to infant care explained, and tips on working with parents to support potty training.